What's a 401k Retirement Plan? 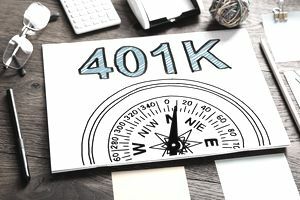 A 401k plan is a retirement savings vehicle that falls under the category of a "defined-contribution" retirement plan, as determined by the IRS. That means that the employer's contribution to the plan is predefined. If your employer says that it will match 50 percent of your 401k contributions up to the first 6 percent, for example, that's an example of a defined contribution. A 401k is available in most workplaces as a benefit to employees. It's one of the easiest ways you can start investing and saving for retirement. How can you get started with a 401k? Your HR department typically takes care of the management of the plan. Upon starting a new job, some employees are automatically enrolled in a 401k plan with a 3- percent salary contribution, and others may have to wait until their probation period is over to start contributing. Either way, it's worth finding out your specific benefits from your employer, as not all 401k plans are made equal. At the very least, find out if one is available, as the earlier you start contributing, the better. Contributions to a 401k retirement plan are tax-deferred. That means that you don't pay taxes on the amount of money you put into the plan, because your employer withholds it from your check to deposit to your 401k account, before applying the income tax calculation to the rest of your pay. Jack invests the money in his 401k into a variety of stocks and mutual funds. The money grows tax-deferred, so Jack doesn't pay taxes on any of the capital gains and dividends that his 401k investments earn over time. By deferring those taxes, Jack is able to reinvest that money, which causes his portfolio to grow faster. When Jack turns 65 and decides to withdraw money from his 401k, he pays taxes at that time, upon withdrawal. His tax rate will be based on the tax bracket for his income and tax laws in place when Jack is 65. There's an exception to this, however. The Roth 401k Plan allows people to pay taxes upfront, but never pay taxes again. In other words, your money is taxed on your paycheck as usual, and you make a contribution to your Roth 401k account with money that has already had taxes withheld. For example, say Sally earns $50,000. She puts $5,000 into a Roth 401k. At tax time, she pays taxes on the full $50,000 she earned, paying her tax bill with the money withheld from her paycheck over the course of the year. But her investments grow tax-free, while Jack's investments simply grow tax-deferred. When Sally turns 65 and withdraws her Roth 401k money, she doesn't need to pay any taxes on it; not even on the capital gains or dividends that grew over the years. Many workplaces offer only traditional 401k plans, but not Roth 401k plans. If your workplace does not offer a Roth 401k, but you're interested in having one, you can check to see if you're eligible to set up a Roth IRA. This will give you a similar tax-advantaged treatment, although you typically can't contribute as much money to an IRA as you can a 401k. The S&P 500, NASDAQ, Dow Jones - What is This Stuff? What Is Personal vs Accounting Variance? Could You Be Contributing More to Your Retirement Plan?